Typically, videos downloaded with RealPlayer's Download This Video button go into the Videos folder of your RealPlayer Library. They can also be seen in Recent Activity. If you still can't find the videos you downloaded in your RealPlayer Library, they are probably in your computer's Downloads or Videos/RealTimes/RealDownloader folder. 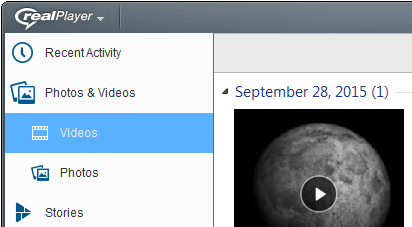 In Windows Explorer, you should see the Downloads folder listed directly beneath Desktop.